It’s funeral time. When Fran goes to her grandfather’s funeral she comes across more than just mourners in all black. Reuniting with an old friend, they make a pact as her parents come to terms with the loss of Fran’s grandfather and much more. 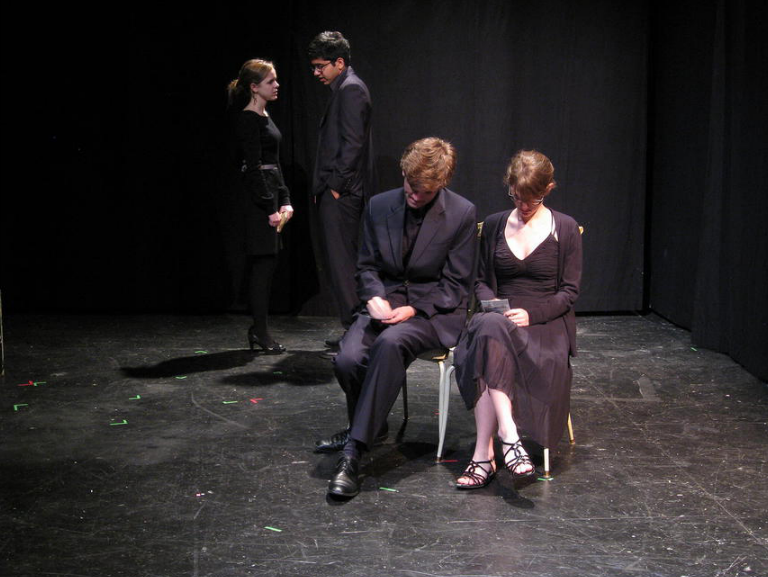 The Urnest Speaks was slected as part of 3 Chairs, 2 Cubes, Production Workshop’s Undergraduate New Play Festival. It was produced in the Fall of 2009 by Production Workshop in The Downspace, Providence, RI. It was directed by Rebecca Title.